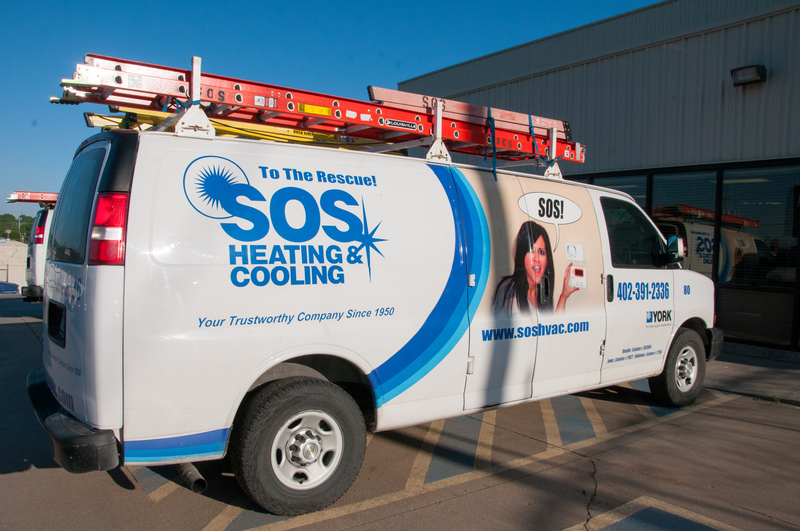 SOS Heating and Cooling – Omaha's HVAC Leader! Please call 402.391.2336 if you need immediate service. SOS is your Omaha, Nebraska HVAC dealer. We install and repair everything from air conditioners, furnaces, heatpumps, to zone systems, thermostats, and humidifiers. Our number one concern is your comfort. We are a heating and air company that cares about our customers, this is one of the many reasons we have been awarded the ‘Super Service Award’ from Angie’s List. SOS Heating and Cooling is also a Better Business Bureau accredited business with an A+ rating and has been since 1993. That’s why we are the Omaha heating and air company you can count on to take care of you. 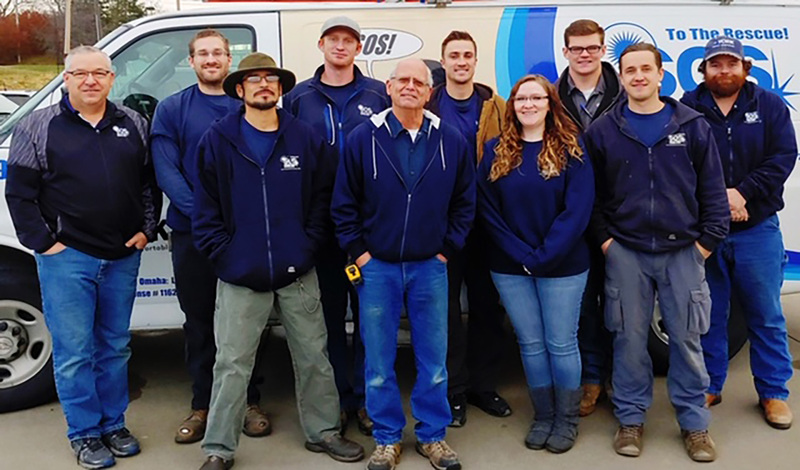 At SOS Heating and Cooling, our mission is to be the company you can trust for any and all of your heating and cooling needs. 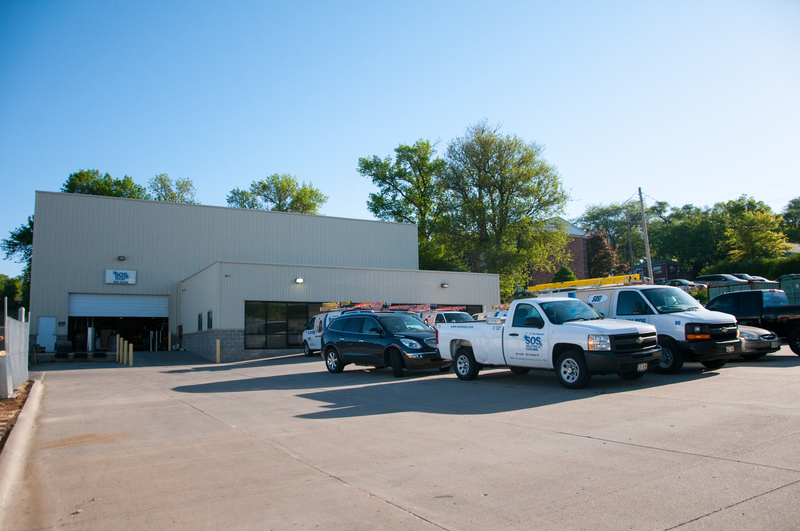 We are a third generation family owned business in Omaha, Nebraska. SOS is a full service company offering residential and commercial heating and air conditioning services for all makes and models. We have years of experience ranging from the basic maintenance check of a residential system, to a long range, multi-phase commercial job. We value all jobs with the same integrity, regardless of size. We are the company you tell your friends and family about. How much does it cost to replace an air conditioner or furnace? What should I look for when buying a heat pump? Do I need a maintenance plan for my HVAC equipment? What is the difference between a heatpump and an air conditioner? What is geothermal? How much is a central air conditioning system? How much money does geothermal save on my energy bills? How often do I need to do routine maintenance on my HVAC system? Where can I find the best deal on installation of a new heating and cooling system? Call or email us today and our experienced staff can answer these common questions or any other questions you may have on your heating and cooling system. For more information on service or installation, you can click the dropdown titled ‘services’ or go to the ‘contact us’ page and fill out the general comment form. Proudly serving Omaha, Bellevue, Elkhorn, Ralston, La Vista, Papillion, Bennington and surrounding communities in Nebraska. SOS is your Omaha, Nebraska HVAC dealer. We install and repair everything from air conditioners, furnaces, heatpumps, to zone systems, thermostats, and humidifiers. Our number one concern is your comfort. We are a heating and air company that cares about our customers.